If you have never used mobile storage in RI, you might be surprised at how it all works. Finding a solution for residential storage in Providence and the surrounding area can be frustrating. Self-storage facilities have so many disadvantages and it can be difficult to navigate warehouse storage for household moves in Rhode Island. Your best bet is to work with a company that you trust, that has the tools, the knowledge, and the experience to get you the equipment that you require and provide you with top quality customer service. Start with your Rhode Island residential movers at Conlon Moving & Storage. This company has been serving residential and commercial clients in the Southern New England region for over one hundred years. How is Mobile Storage in RI Used? Are you are running out of room to store all of your belongings? In the middle of downsizing and need to safeguard some extra furniture and non-essential items? Want to find an easier way to facilitate a move on your timetable? Trying to sell your home? Whatever your goals and situation, our portable storage solutions may be exactly what you need. If you are looking for an intelligent, safe and secure type of residential storage in Providence for your belongings and assets, look no further than the mobile storage solutions available through Conlon Moving & Storage. Choose from container storage through United Mayflower Container Services, one of our partners in delivering quality mobile storage in RI and the Southern New England area; and Go Mini’s containers, another partner of our Rhode Island residential movers, which provide the optimal self-storage experience on-site in your driveway, yard or on the street in front of your home. Make sure to ask about any requirements or regulations that might preclude you from using portable residential storage in Providence or the surrounding area. Our team of customer service agents can help you figure out a way to make it work. A level site is the main requirement for mobile storage in RI. Discuss what is needed with our team to make sure that you can do what you want to do. 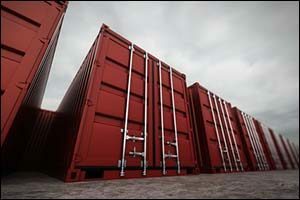 Choose the best size and type of container for your needs. Our agents can help you pick the right option from our Go Mini’s and United Mayflower Container storage selection. Contact Conlon Moving & Storage to start planning your strategy for moving or storage solutions today at 508-336-7766. We can provide you with information about our delivery and service range while working with you to schedule delivery and pick-up times according to your schedule and needs. Call today for a FREE quote on any of our products or services.